Despite losing its star, the tanking ratings, and the increasing level of general apathy from even the show’s most feverish supporters, AMC has decided to renew The Walking Dead for a tenth season. Is it possible that AMC hasn’t realized that it’s possible to not renew the show? Maybe pull out all the stops for one more good season with a definitive conclusion that will bring back old fans one last time and reward longtime viewers with some emotional payoffs? No? Well, maybe AMC will do that for season 11. Anyway, this comes from The Hollywood Reporter, with new showrunner Angela Kang confirming the news on Instagram. 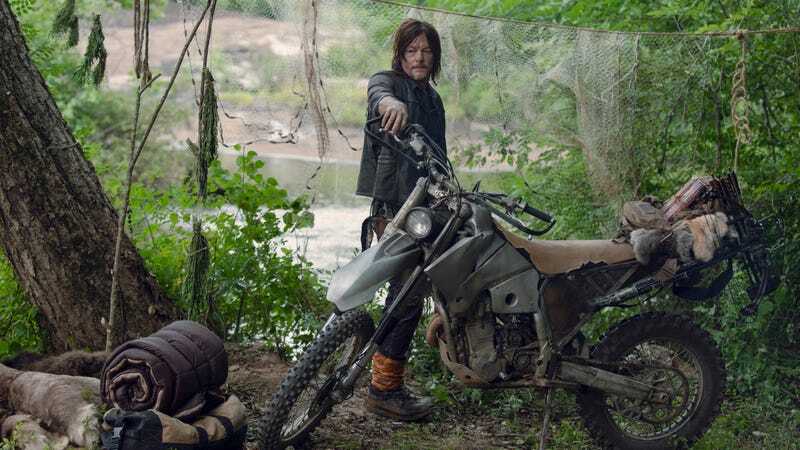 We don’t know what to expect from season 10, since season nine hasn’t finished airing yet, but we do know that Norman Reedus will be the new lead now that Andrew Lincoln is gone, with him and Melissa McBride negotiating for cushy new deals in November. However, we still don’t know if Danai Gurira was able to secure a new deal of her own, with her newfound success in the Marvel Cinematic Universe possibly spelling doom for Michonne. She knows Captain America now, so it might be harder to convince her to keep stabbing zombies on AMC without a nice payday.